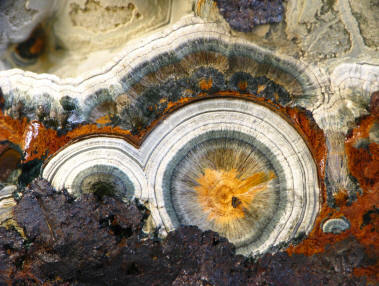 Thinking about selling your fine or rare mineral collection? Consider Dakota Matrix Minerals for estimates and advice. Dakota Matrix has been in business since 1998 and has purchased many collections from sysematic and rare species to fine minerals of display quality. Dakota Matrix Minerals started business in 1996 as "Matrix Minerals" from Deadwood, South Dakota. We travelled the US west and returned to the Black Hills in 2000. Since then, we have acquired several collections. It was obvious that each collection was built with pride and grew out of the love for minerals. Like myself, nearly all mineral collectors began collecting in their youth. So naturally, it’s easy to understand that selling your collection is like giving away your first born. It’s a hard decision, but one in which everyone must endeavor. Your choice is to donate, bequeath, sell, or do nothing. In this day and age when budgets are being cut in academia and collections sold by institutions (Philadelphia Academy of Sciences) donating to a school or museum is not often a good choice. If you have a friend or kin who are genuinely interested in minerals, this is probably your best choice. Doing nothing, almost guarantees that all your dedication, love, and hard work will be forever lost. Selling your collection to another collector or a dealer is perhaps your best choice. If you decide that you want to sell, rest assured that your collection will be respected and all your care and effort you put into your collection will be passed onto other collectors and generations who will admire your minerals as you once did yourself. Your minerals and labels will be spread the world over. Dakota Matrix has a cliental from Oslo to Rio and Walla Walla to Kalamazoo. Consider Dakota Matrix when selling your collection! After selling minerals online since 1998, we have come to realize that it’s not the sale that’s important to us; it’s the satisfaction of knowing our minerals are appreciated, studied, and finds a spot in somebody’s collection. We strive for perfection in the sense that we try to make your shopping experience an educational experience. Our photos are taken with care so you have a good idea of the true colors, the associations, and how well it is crystallized. We point out the crystallography, the habits, and damages if present. The specimens are represented with dimensions in centimeters and show you the entire piece overall as well as magnified photos with our “lightbox” feature. We also tell you a little bit about the mineral’s mode of occurrence and a bit about the geologic environment in which it occurs whenever we can. So even if you don’t buy, you at least learn something. Our website comes with a lot of “bells and whistles”. But these are not just noise makers and fancy gimmicks. We have a “want list” registrar that allows you to be notified when something on your “want list” becomes available online. You can also add minerals to your “favorites” for future consideration. Our “Special Editions” are theme based, and you are alerted when we post these minerals by our exclusive “notifier”. Each mineral entry includes all the basic identification aids in the “data” tab as well as any provenance associated with it. Check out our published articles online about localities, mineralogy and geology. Our specialty “micro bags” are loaded with locality rough and are always a favorite. Finally, as a registered customer you have control and management of your “queued” orders, your favorites and want list. You can learn more about our galleries and website features in our FAQ’s. One thing we will never do is NOT sell a mineral just because it is mediocre, just representative or won’t sell for hundreds. Minerals do not have to be beautiful crystals to collect them. If you have ever been to the Tucson show or most other big shows these days, you know that you cannot typically buy a specimen for fewer than one hundred dollars. If you are a field collector or just want to obtain minerals for study, these shows are not the best approach to building an ordinary collection. The big shows are fun and the displays are incredible, and you can also purchase a lot of fantastic minerals. But finding good, basic representative specimens of systematic minerals or your favorite locality for under $100 or even $50 is difficult. That is why we sell what we sell – good representative or good locality pieces for $25 to $100 to help build your collection. Selling high dollar specimens is not our specialty, although we do occasionally carry them. So, please enjoy our website and if you don’t see something you would like for your collection add it to your “want” list or contact us. We want to help build your mineral collection, without breaking the bank!